One of the most revolutionary things about public education in the past half-century has been the centralization of schools-which has meant, of course, the closing of many of the small one room schools that formed rings around larger villages, like Saugatuck and Douglas. 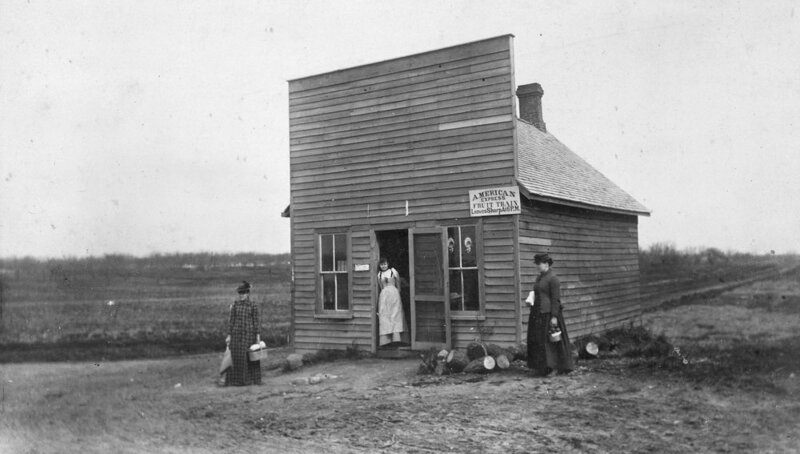 The oldest (and the best preserved) one room schoolhouse in Allegan County is the Peachbelt School on the corner of M-89 and 63rd Street, which now serves as the "Peachbelt Studio and Gallery" of Saugatuck artist Dawn Stafford. It has not been moved or changed in size since it opened its doors in 1868. 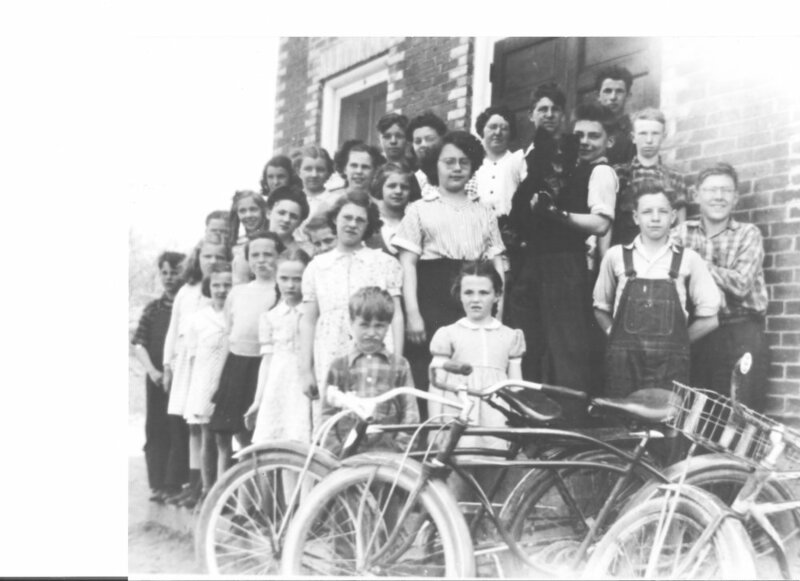 All grades were taught by one teacher-and from its beginning enrollment was of 20 to 30 children. The teacher organized the room into "classes"-teaching each class separately while the other students studied independently. There were two outdoor privies ("boys" and "girls") and (originally) drinking water was carried in buckets from a farmhouse across the road. At one time the school was in a cluster of activity; adjacent was a cider mill, a blacksmith shop, a general store (until the 1920s), a second general store-post office and a knitting factory. In the school yard was an enormous elm tree that served as a local landmark. 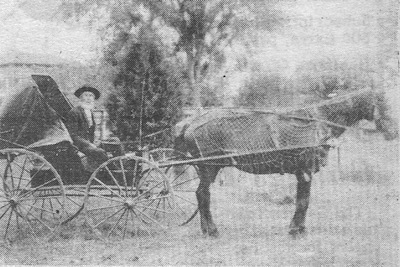 Peachbelt" gets its name from the fact that the road (M-89) ran through what was, in the later 19th century, Michigan's most important peach orchards, connecting fruit farms with two of the principal points of export, the ship docks in Douglas and the train terminus in Fennville. Peachbelt area peaches were regarded as Michigan's "gold nuggets" in the Chicago food markets of 100 years ago. Originally a wood framed structure, sometime about 1898 the siding was removed and the building was bick veneered. 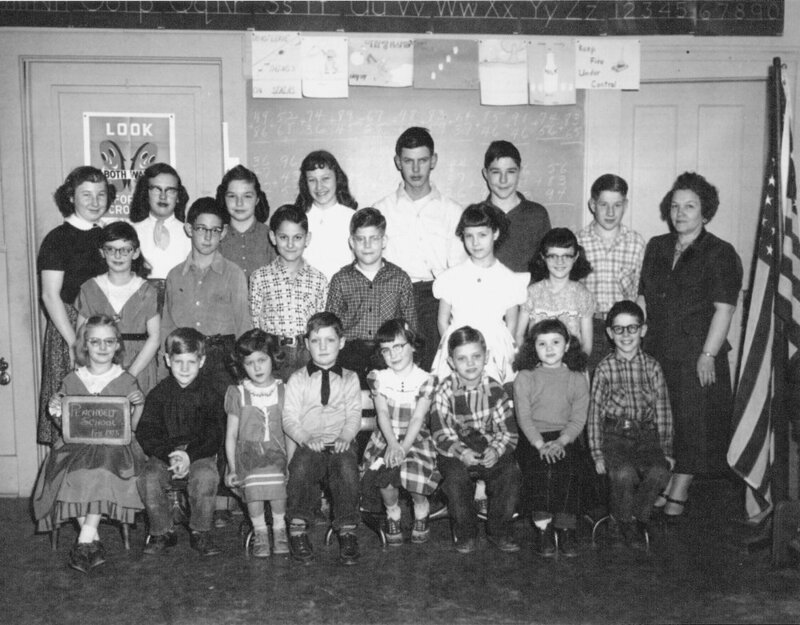 In 1961 the school was annexed to the Fennville Schools and the schoolhouse was used until 1968 for single grades. In 1971 it was sold and became a church for migrant workers. Following this it became an antique shop and then in 1977 Phil Van Eyl and his wife Miriam and their three children, restored the building, including repairing the brick, restoring-repairing all the windows, repairing the roof and bell tower, and finding a front door (in Chicago) that looked like the original. The floors are a layer of maple wood on top of oak. The Van Eyl family used the building as a weekend cottage-with 4 rooms and a sleeping loft. More recently, a second restoration was undertaken by Dawn Stafford who refurbished the interior and carefully removed the roof-rebuilding it with a hand-nailed cedar shingle roof based on preservation standards. 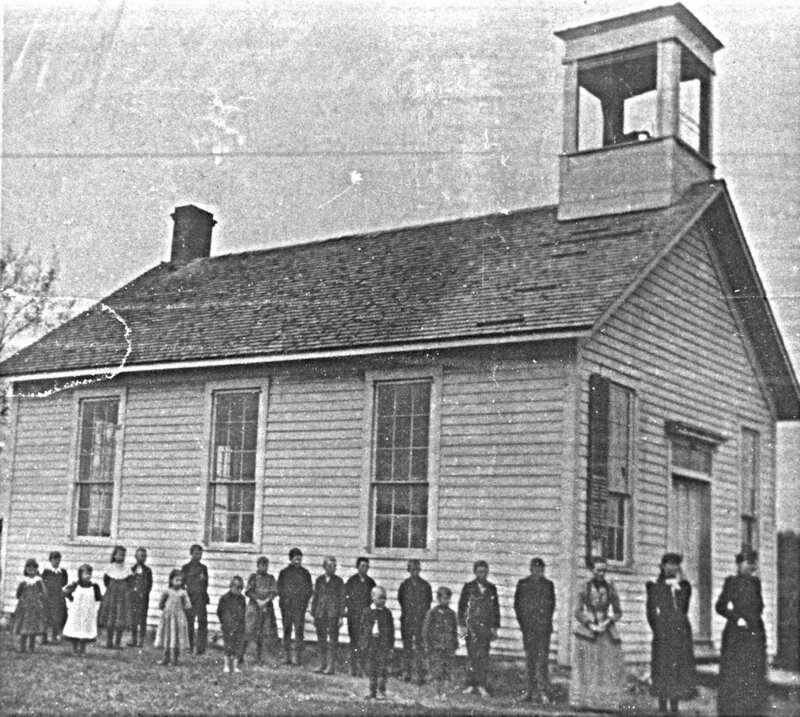 The schoolhouse is on the Michigan Register of Historic Sites. The most famous graduate of this little structure was Clifford E. Paine, the boy who grew up to be the designer and engineer of SanFrancisco's Golden Gate Bridge. Indeed, something to be said for one room school houses.